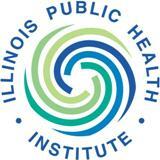 Thank you for participating in Youth Substance Abuse Prevention Web-conference sponsored by Illinois Public Health Institute (IPHI) and the Illinois Department of Public Health (IDPH). Your feedback is very important to us. Please complete this very brief evaluation about the Web-conference. Thank you for your time.